We have Yanmar and Dynapac ride on rollers with 120mm Drum width within our fleet, they are designed to efficiently get the job done. The smallest of our ride on rollers. It is designed for optimum drum visibility and ideal for gardens and landscaping projects. 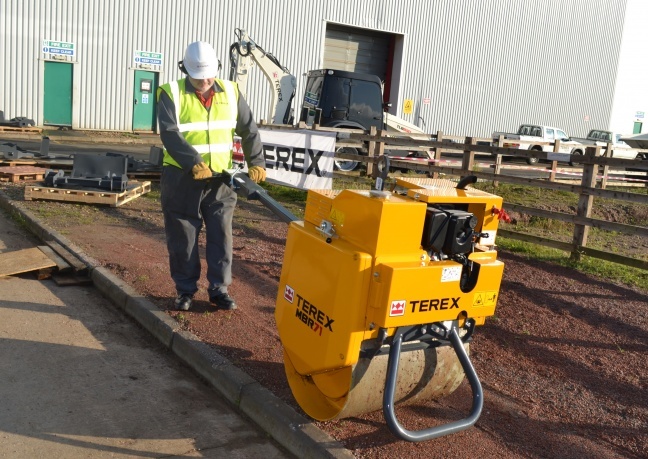 Our Terex pedestrian rollers are fitted with a high capacity water system to ensure that the drum stays clean at all times, with front & rear scraper bars for effective cleaning. The electric start and hydrostatic transmission make this roller easy to use.